In 1953, when Capital Industries was founded, the metal fabrication trade did not have anything like the technologies of today. We understood the importance of service and well made products and we made good with what was available. Today, we have innovations in software and fabrication tools that no one could have imagined back then. The constant throughout our 60 plus year history is our attention to detail, and a commitment of value to be delivered and acknowledged. 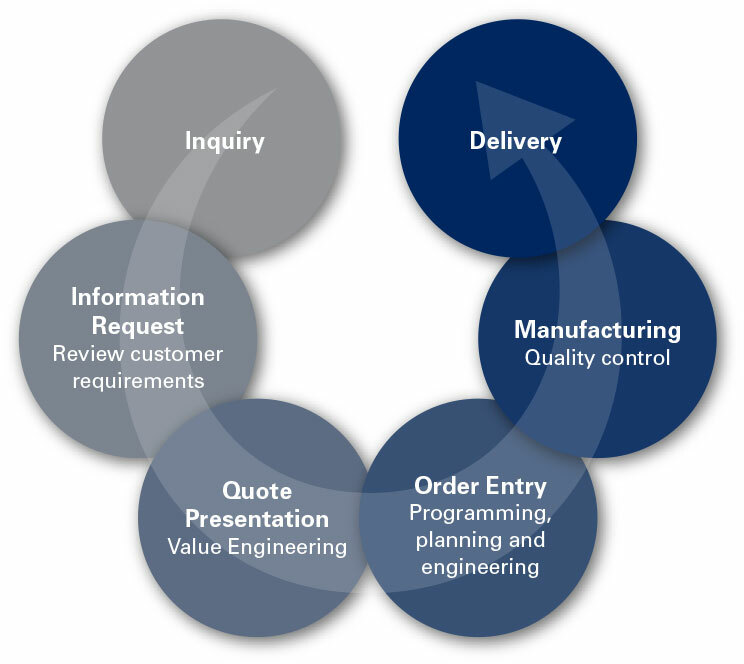 From value engineering at the sales contact stage, through our programming and planning group, we closely scrutinize your plans and specifications to determine a manufacturing plan that will yield the most cost effective and efficient outcome. From inquiry through delivery, our focus is designed to ensure our customers unequaled value and satisfaction.